This is a screenshot from Heat Signature. 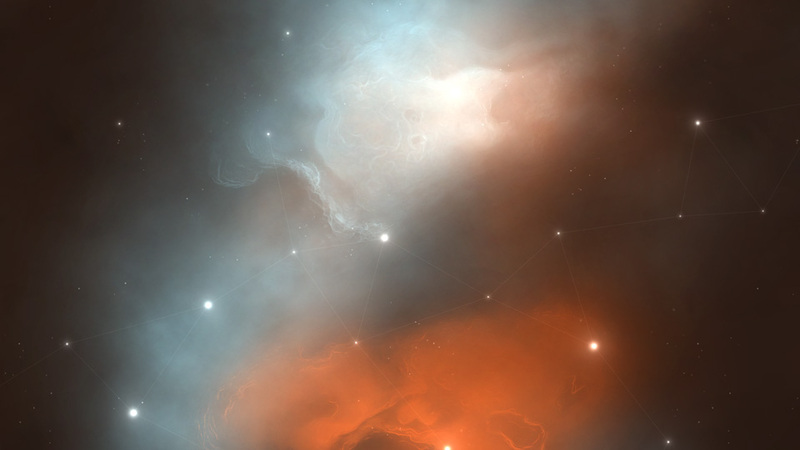 A work in progress space game by Tom Francis. I couldn't find a screenshot of No Man's Sky that didn't have a lot of crap in it. Heat Signature looks like it could actually be a good space game. This is the second part of my 2-part series about No Man's Sky. Here I’ll list my thoughts on what I feel No Man's Sky should have been like. I’ve seen many people talk about this, but mostly they're talking about adding features, and this was in my opinion the game’s problem from the start, it has too many already. 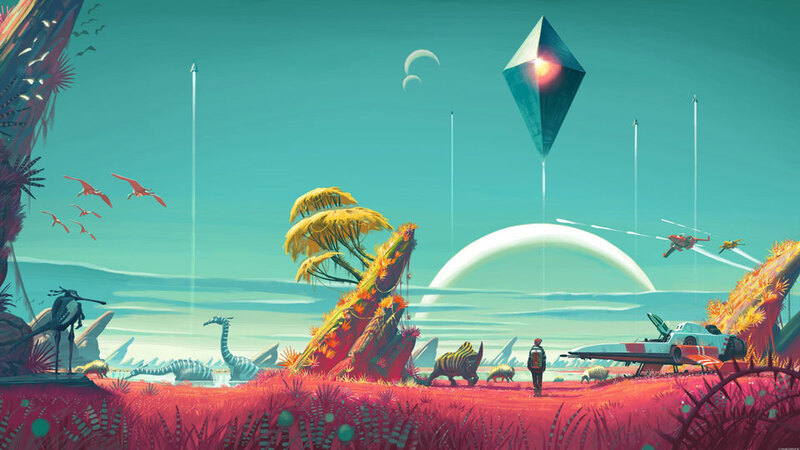 Let me preface this article by saying that I haven't played No Man's Sky, to do that I would have to buy the game and that ain't happening anytime soon, but from watching people play it, talk about it and from reading about it I feel like I have a good grasp of what the game plays like as of this writing. First of all, I have no doubt that you could turn what's already in No Man's Sky into a great game, but it would require a lot of work, and most of it to the core gameplay which I doubt the developers are willing to do at this point. What I mean by that is for me the by far the biggest issue with the gameplay is that the game gives you everything it has to offer right away, the developers were so afraid that you'd miss content that they put all the content in the game on every planet. There was even a player who spent the first 30 hours of his playthrough on his initial planet and managed to max out everything in the game without every flying into space. If that doesn't signalize a massive design flaw in a game about exploration and discovery then I don't know what does. This concept art shows everything wrong with No Man's Sky. There's too much stuff happening here. Imagine the same scene with just the ship and the player and nothing else... well, that probably sounds boring, but I'll try to explain why I think it would be quite cool and unique. No Man's Sky is currently letting you do too much, you can interact with and fight creatures and machines on the ground, you can fight ships in space, you can gather resources, you can craft items, you can visit space stations and you can trade and sell items with various alien species. On top of that according to lists players have made on sites like Reddit the game was supposed to have countless more features, feature creep we call that in the game development business. I think every single feature should be removed from the game except for exploration and discoveries, the two core features the game were marketed with originally. All these other features only serve to make the game less focused and worse. Think about how much time was spent on these features and then think about how poorly they are implemented in the final game. Think about how much more polished the core game could have been if this time was instead spent on that? No Man’s Sky was marketed as a game were you would explore the universe and share your discoveries with other players so why not focus on these two features entirely? What if the universe in No Man’s Sky was more realistic and void of life and you had to work as a community to actually discover things? What if every planet didn’t contain everything in the game, but rather 1 planet in a million had signs of life or actual life? What if they actually dared to make a truly unique exploration game? And now you say that this would be boring for the individual player, but I think they could make this work if they expanded on the naming/discovery feature. Turn the game into something of a community experience. Whenever someone actually discover and name an alien species its location would show up on the galaxy map for all players. Every player playing the game would be part of a some sort of joint endeavor to discover alien life in the galaxy. I think this would be really cool and unique, and not to mention much less work than the extremely generic survival game they ended up with, and much more suited for a small indie studio. Alien ruins, abandoned settlements, intelligent life, mysteries and so on could be sprinkled throughout the galaxy and discovering these would put your name on the map for other players to see, literally. Learning the alien language could be a community endeavor as well. Make the words much rarer and force all the players to work together to discover them to learn what actually happened to the ancient civilizations inhabiting the galaxy. 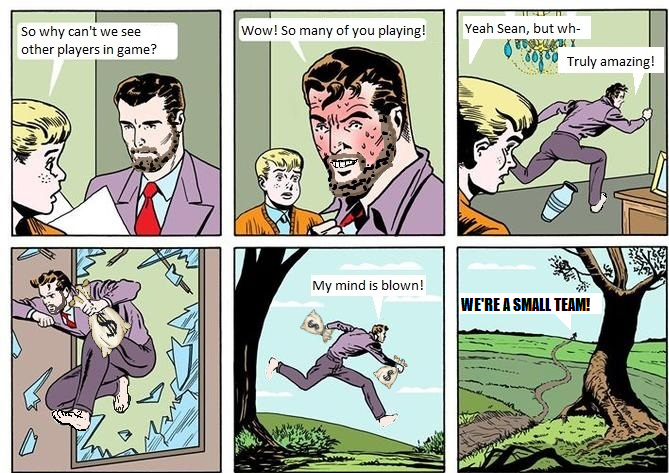 Or at least that's what I would do if I was a developer who wanted to try and make a fun and unique space exploration game that my players hopefully enjoyed. However, if I were a bunch of scammers like Sean Murray and Hello Games who were obviously in this from the start only to get as much money as possible and then disappear then No Man's Sky in its current form is probably what I'd make. I started writing this article shortly after the first one, but then completely forgot about it until now. It's now been many months since the release of the game and there's been no word or updates from Sean Murray or his team. Originally you could claim there was doubt around the fact that they were actively trying to deceive its players, but there is no doubt anymore, this was a scam from the start. I know I posted this comic in the first article, but it's now truer than ever so I'll post it again. This is so sad! I was putting too much hope on this game and now it feels so bad! I literally can't play it. It's an unfinished masterpiece unfortunate. Many bad design and gameplay decisions but, the idea is great on it's own. I guess i have to wait for star citizen! You can use https://doanassignment.com/college-homework/ to save some time. Just order a research paper and enjoy your life! Thank you for this article because after reading it, I already fell in love with the game. I am actually going to write an essay about it here essaycyber.com and encourage everyone to read it. Hello. How beautiful everything is! You are very talented. In this case, not only knowledge and practice are important. An important role is played by inspiration. This is especially enchanting, I like it. I will constantly come to visit after. I will grasp to amigos as well. Keep up the huge work. I think this is pulling in and illuminating material. Appreciative to you such an awesome aggregate for considering your substance and your per clients. (buy essays online)Your blog held my tendency faultless to the specific end, which isn't everything viewed as a central improvement!! A devotion of appreciation is all together for the standard blog. Great post! - That is grab my essay reviews exciting post and thank you for sharing. There are things here that I didn't think some time as of late. Because of cool such a position, to the point that is to a great degree carefully taken, we will talk a huge amount of colleagues about it. You can use this for any kind of academic writing work. So any updated thoughts about No Man's Sky now that there's a No Man's Sky 2 on the way? I also loved Little Big Planet, it looks and seems childish, but it's a great game that's based completely on creativity, I have two friends that can someone do my assignment love nothing but shooters and they loved the game too.